It’s getting cold outside! And along with the cold weather, you’ll most likely be getting the flu shot soon, or possibly already have. 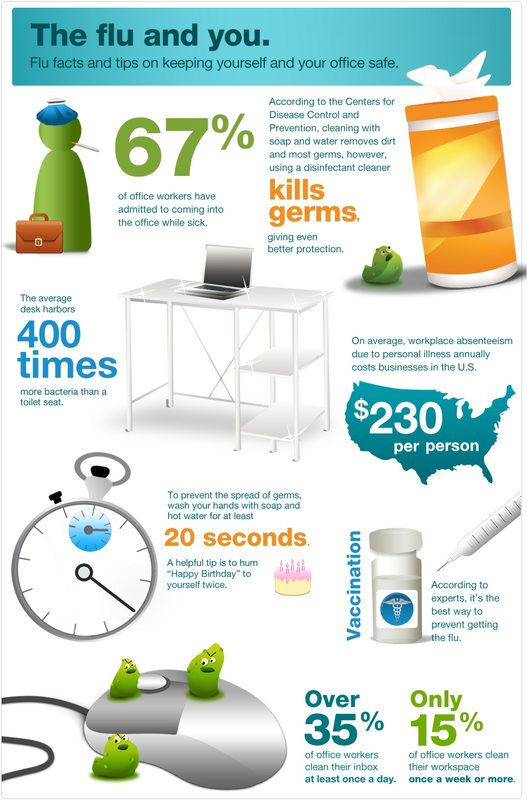 So, along with keeping you healthy, why not let CK Cleaning Solutions keep your office healthy? Take a look at the below infographic. Ready to let us clean? The information within this post is for informational purposes only. CK Cleaning Solutions is a veteran owned and operated janitorial company servicing Northwest Arkansas. Your property will be treated with the utmost respect and one of our owners will always be part of your trained team. CK Cleaning Solutions is a bonded and insured professional commercial cleaning company providing services within the Northwest Arkansas area. *Please note that we do not have a physical address to accept the public.